Lisbon, the largest city and capital of Portugal is a recognised global city in terms of its finance, commerce, media, entertainment, arts, international trade, education and tourism. This ever-growing trade centre is a sea full of endless career opportunities. Striving for the CSD training in Lisbon will help you establish yourself in this economy with the help of modernised skill sets acquired through rigorous coaching under experienced trainers of the KnowledgeHut Academy. 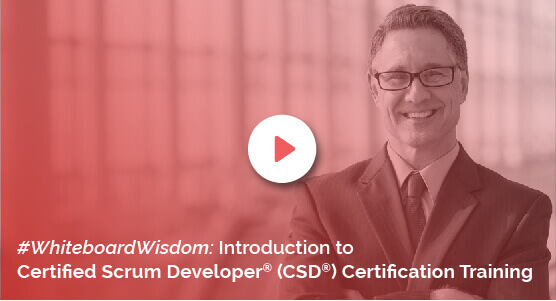 Over the 5 days of this course, there will be ample e-learning and classroom training by your tutors for unparalleled Certified Scrum Developer training in Lisbon. On the first day, you will be given introductory lectures vis-a-vis the various facets of the workshop followed by the basics on various electives on the second day. On the third and fourth day, you will be given a technical track demo with practice sessions for fair practical knowledge. You will get full worth of the fee paid when you enrol yourself for the CSD course in Lisbon by getting a detailed recap on the entire material on the final day. KnowledgeHut brings you the Certified Scrum Developer certification in Lisbon at a reasonable cost with numerous advantages. Apart from the PDUs and SEUs on completion of the training, you also get a 2-year membership with Scrum Alliance. You do not have to pay extra because the course fee for the CSD training in Lisbon includes the Scrum Alliance Certification Examination fee. The KnowledgeHut Institute will not only provide you with the CSD certification in Lisbon but also give 100 days free access to their Agile and Scrum e-learning programme. The practical experience working with Scrum tools will also make you want to register immediately.